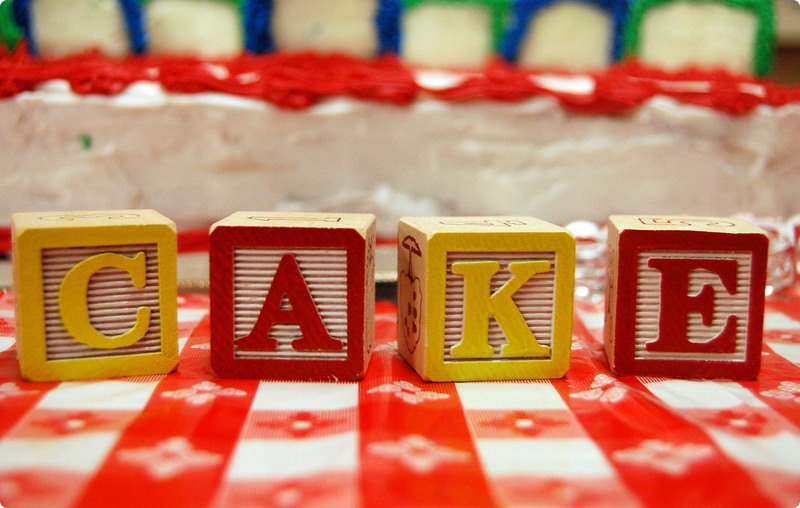 By a strange twist of fate, my sister and I were lucky enough to both have babies last year. 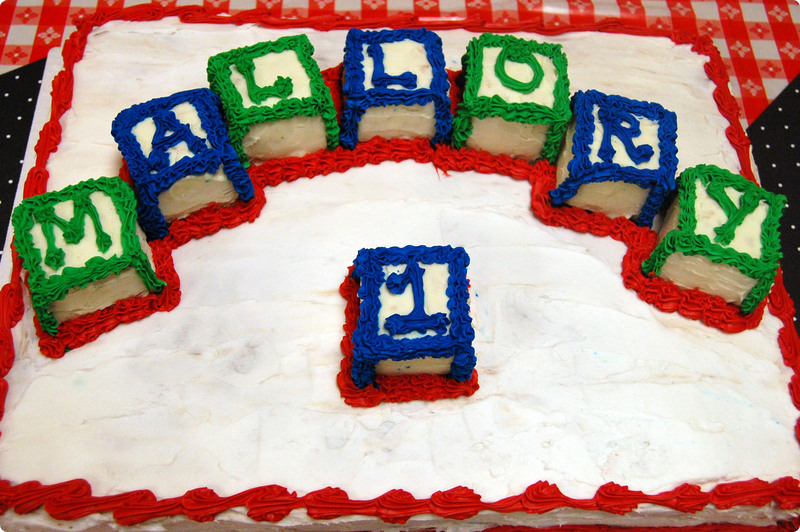 A mere nine days separate our darlings, so February was a fabulous fete-filled month for our family. 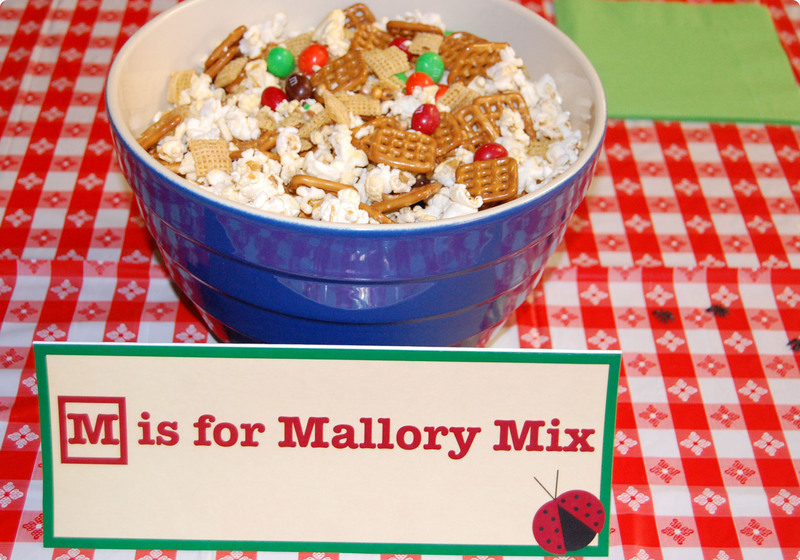 My niece Mallory gathered her closest friends and family members for an “M is for Mallory” Block Party. 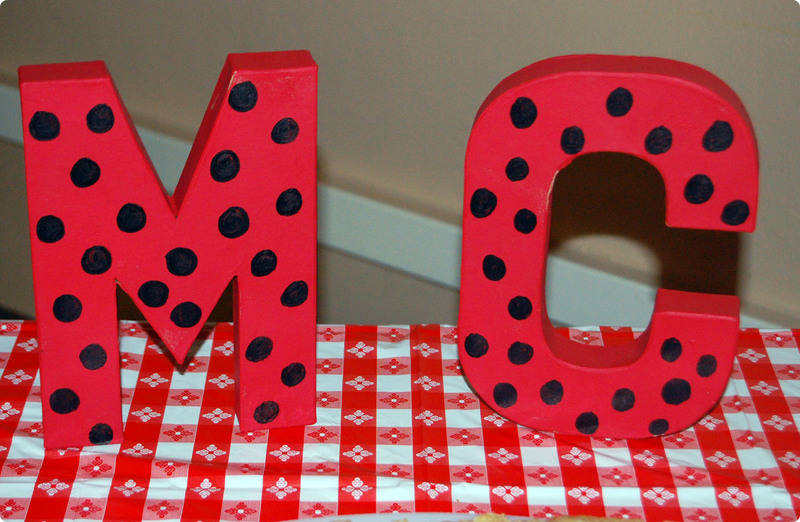 This cute play on words was sprinkled throughout the party, complete with gingham table clothes, ants, ladybugs and of course, blocks. It was quite a refreshing party when you are suffering from the winter doldrums like myself. 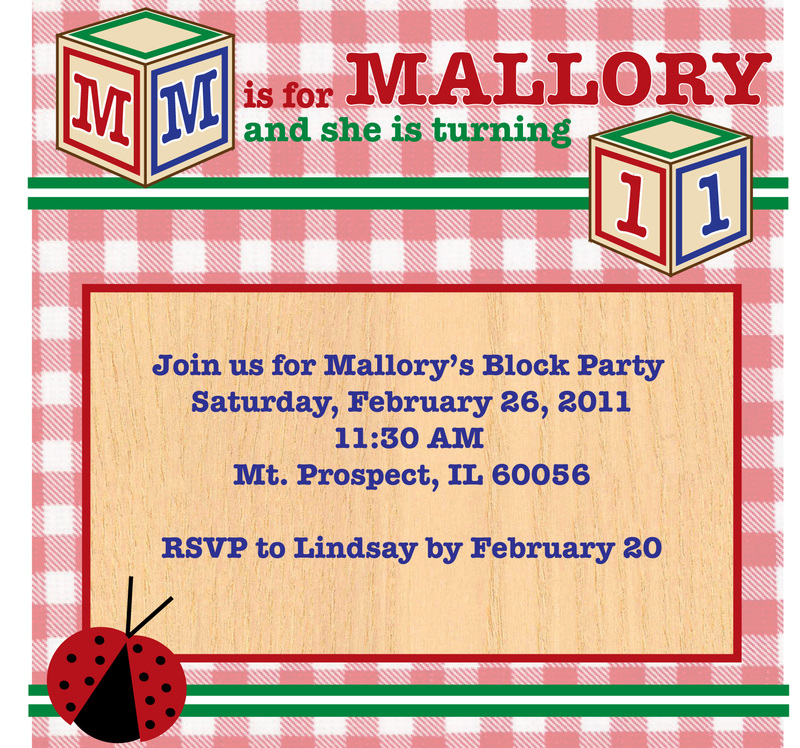 I helped my sister by designing this invitation as well as a few other party printables. Rice Krispie treats were shaved down and iced to look like blocks. 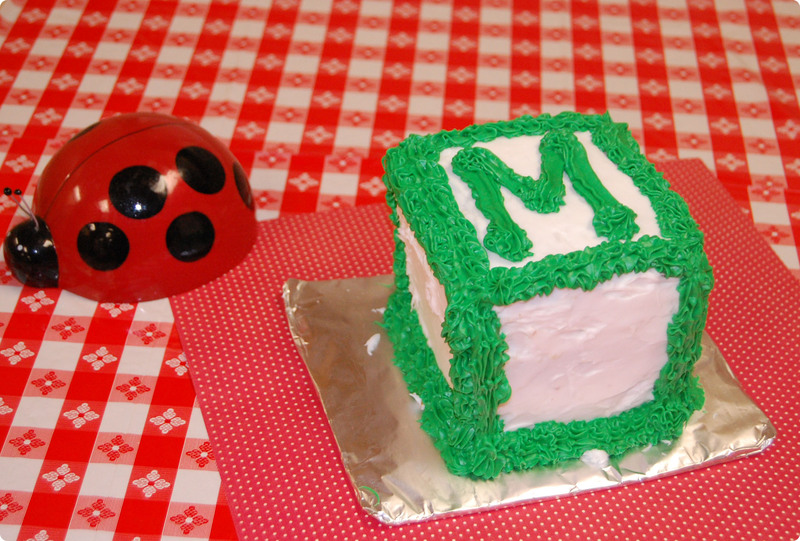 Mallory enjoyed her own “M is for Mallory” smash cake. 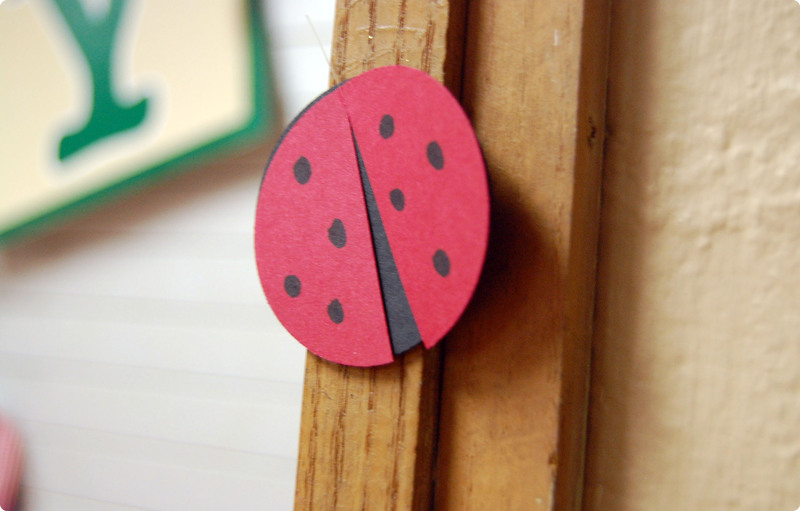 Paper ladybugs were placed throughout the room as well as these ladybug initials placed on the treat table. 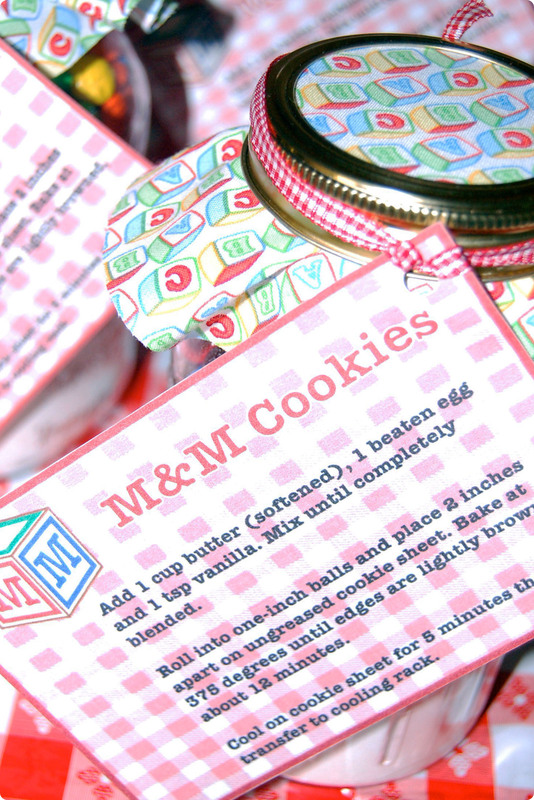 Each family was given an M&M cookie mix in jars topped with alphabet block fabric. 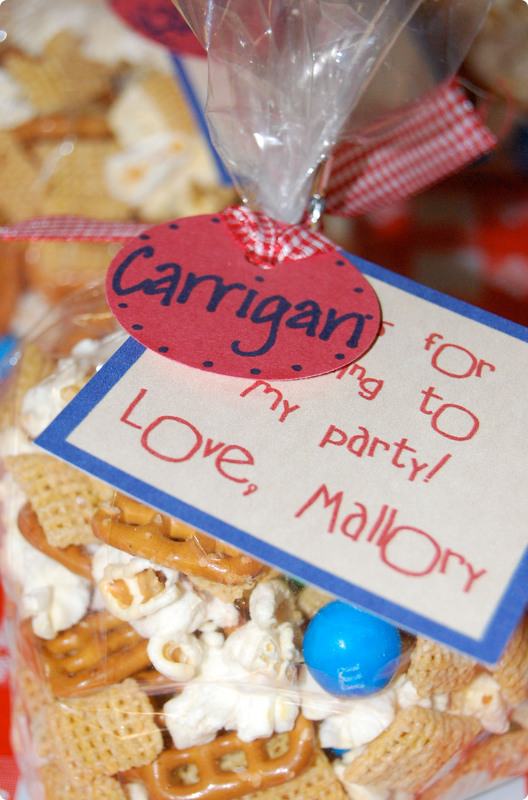 Each of the kids received a bag of party mix along with a special note from the birthday girl. 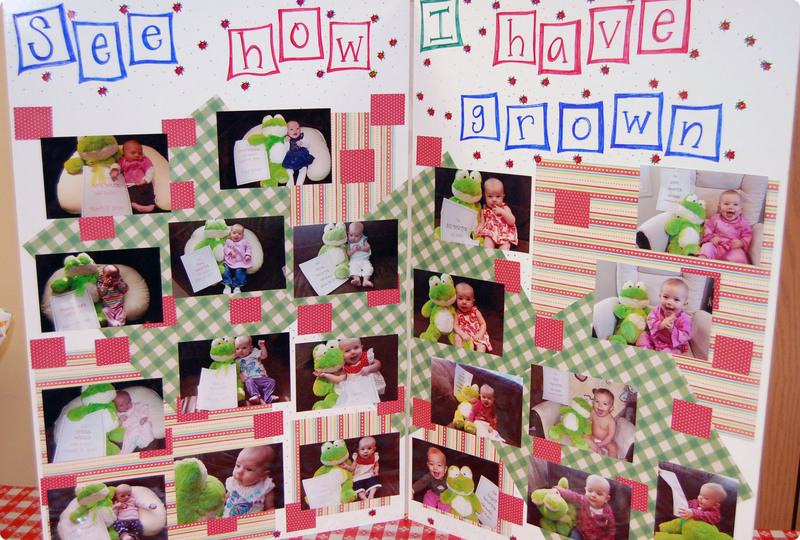 Pictures of little Mallory from week 1 to 52 were placed on a poster board near the gift table to see just how much she grew in a year. 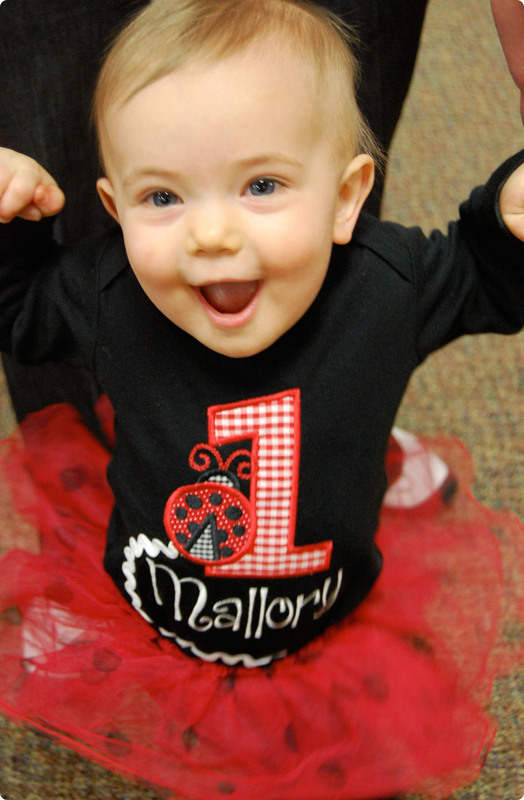 Mallory donned a ladybug tutu from Crazy 8 and a personalized ladybug onesie created by Lois Jean’s Linens. 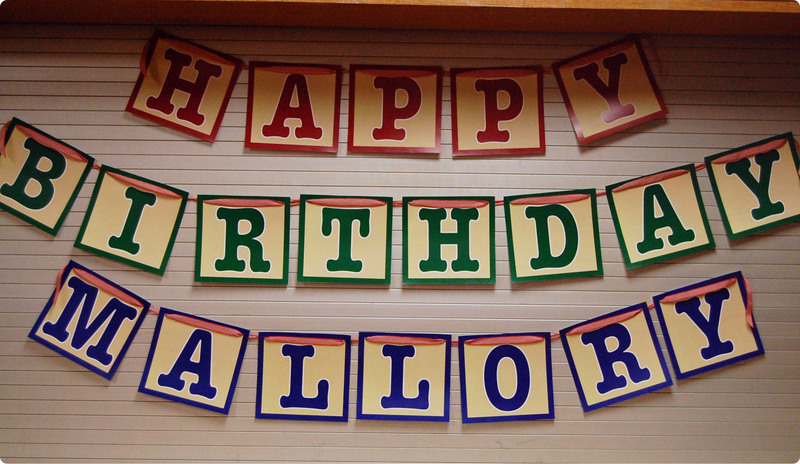 Wishing our little ladybug a very Happy 1st Birthday! i love checking in on you girls, this is great! very creative as always. I love it. 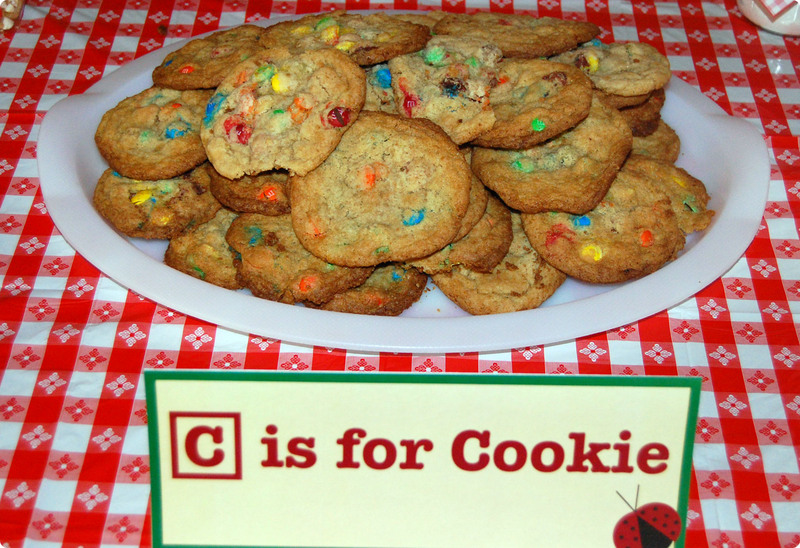 What an adorable and adaptable idea for a party.